Let the chia seeds soak in the water for about 10 minutes. Add in the other ingredients and blend until smooth. I also open up a probiotic capsule and pour in the contents for a little extra gut goodness. If you aren’t already riding chia’s wave of fame this is an easy way to jump on. 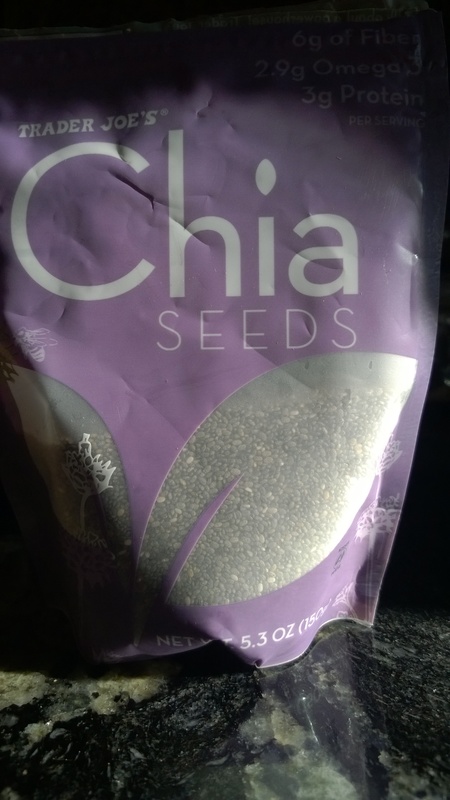 Chia provides fiber and omega 3’s and if you remember the old commercials for chia pets, you can consider eating them revenge for years of that terrible ear worm. Some claim health benefits from weight loss to sugar management also, but basically chia is having a moment just as CoQ10 and bee pollen did before. It’s all good stuff, I’m just saying it’s not a miracle worker. 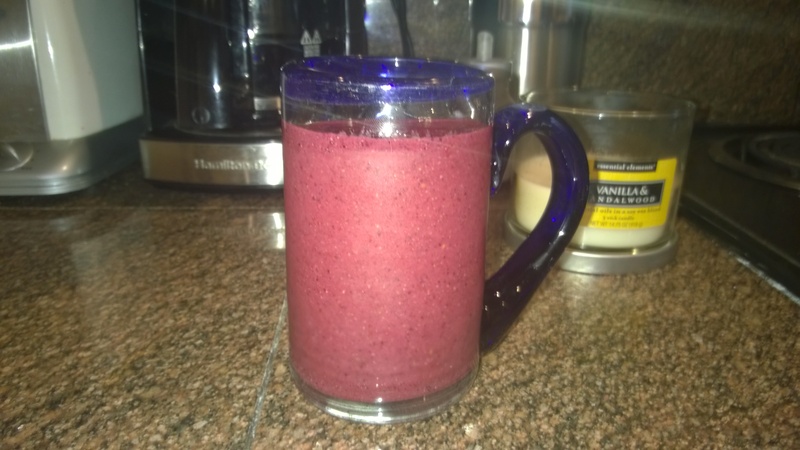 The smoothie is darn yummy though and it feels especially good to drink in that much nutrition in one glass.